This is a 0.18 carat Round shape, D color, VS1 clarity diamond accompanied by a GIA grading report. A diamond cut to optimal proportions, with optimal polish and symmetry, with the most weight loss to produce maximum luster, brilliance, dispersion, and scintillation. Diamonds cut to this standard are the most valuable, with only 5% of the round brilliant diamonds on the market cut to this standard. 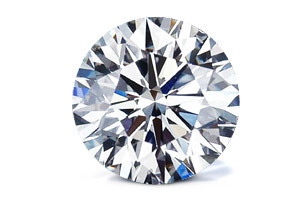 Considered investment Diamond Stones.